Tour de Hailuoto introduces you to true winter-time trekking. During this tour we will go around the largest island on the Bothnian Bay on skis during course of three days. Hailuoto is known for its unique nature and national scenery. The island itself is a sight worth seeing. This trip suits all skiers interested in ski touring, but also requires at least a good cross-country skiing fitness. The Bothnian Bay offers an excellent trial for more demanding arctic trips. The Hailuoto tour will move along along the shores of the Hailuoto island in the course of three days. 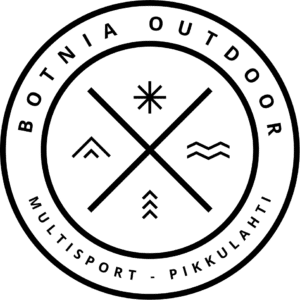 The nights are spent in cabin at Pöllä and at the restaurant Luoto in Marjaniemi, where we will also have a chance to enjoy an à la carte dinner. The total distance of the tour is approximately 60 kilometres. 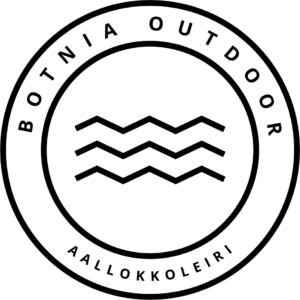 At the beginning of the trip we will meet by the ferry in Oulunsalo from where we will drive to Potinlahti fishing harbour (Potinhamina 15), where we will put our gear on and set off for the tour. Daily distances are 15-25 km. After the tour, we will return to the ferry harbour. Dates: Organised by request only. Level of difficulty: Normal physical fitness required. It is recommended that participants have done at least 50 km of cross country skiing during the same year. Included: Guide’s services, accommodation, bed linen, towels and sauna. Breakfasts and dinners at Pöllä and the restaurant Luoto. Transportation: Raahe – Hailuoto and from the centre of Oulu. Ask for a quote on lunches. Not included: Snacks, lunches, ski equipment, insurances, other equipment. Availability: This tour is organised by request only. Call and make a booking.